Like wine, art is developed with heart, care and precision. As art and wine have always formed a close symbiosis it was obvious for us that these cultural aspects have to be brought together. Karl Heinz Stock, the driving force behind this Wine and Art Farm QUINTADOSVALES in Estombar, has been always a been a part-time sculptor for 20 odd years and found with the farm a perfect combination to exhibit his extraordinary and sometimes provoking art pieces and to create at the same time attention for his wine venture. Art should have, in principle, no limits; neither political nor cultural and allow also expressing ideas which would not have been possible in less democratic societies. In this respect art has and had always an important social and political role. It crosses borders without asking for permission, makes the impossible possible, creates a link between nations, allows a common language without words, does not know friends or enemies and is not limited by gravity, logic or man made limitations. This ability of creative freedom develops an immense output of creativity during the process of creation itself but also later in the communication with observers. It opens the mind. Neither artist nor observer needs to meet. It is also not a necessity that art is to the liking of all viewers. Artist are normal human beings and do certainly hope that their pieces will find a positive feedback from the critics and the audience. But even if this does not take place and an art piece is disliked, it does have its right of existence as it creates interaction. Much worse would be a neutral reception as then the artist would not have reached his goal: to reach others and to get into communication, to pass the message. 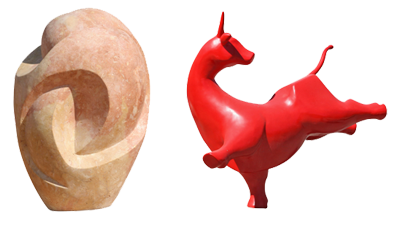 The ideas behind the sculptural work are the same which drive the evolution of wine: both link to the traditional but also explore new experiences, limits and directions. Most of the stones come directly from the fields around the estate. They have been formed from partially metamorphic, partially of compressed sand, partially the remains of sea shells and other fossils. It is a very fragile material which –in its original state- can hardly be identified as a potential basis for a sculpture. 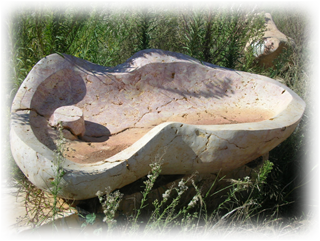 As far as we are aware, KHSculptorGroup are the only sculptors in the Algarve who work with this field stones. Some sculptures need to have a specific size to come across as something special. 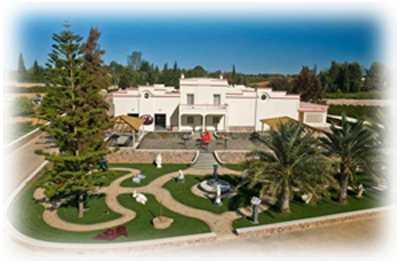 That is why for wall sculptures and real large sculptures of up to 6,5 m the sculptor team of KHSculptorGroup uses light weight materials such as polystyrene and glass fibre. 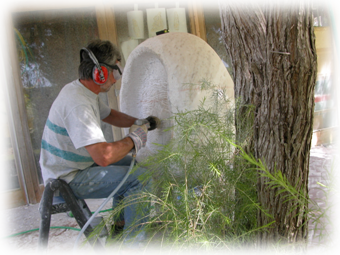 These materials are bonded together using a time intensive technique which involves not only the sculpting process but also priming, filling and painting in layers between the polystyrene and other materials. Plans for the future foresee more and more cultural and artistic related events like exhibitions in the Sala de Prova of art from other artists, changing exhibitions in the open area in front of the Sala de Prova, sculptor courses in clay and stone for art lovers with talented brains and hands, small concerts in the Sculpture Garden and a lot more. It will be still a long way to go but it seems to be on the right track to create a new important meeting point for art and wine. So far the marriage of wine and art has been brought successfully on the way.